Comment: “God sent me before you to preserve for you a remnant on earth, and to keep alive for you many survivors.” In verse 7, Joseph tells his brothers that God sent him to Pharaoh, even though they sold him, to be a protector of his family during the time of famine. He repeats such sentiments a few more times in these selected verses, teaching us of God’s provision through Joseph, despite the ill treatment of his brothers toward him. “I’ll provide for you there—since there are five more years of famine to come—so that you and your household, and all that you have will not come to poverty,” he assures his kin in verse 11. 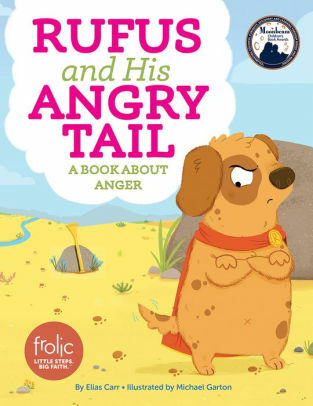 Likewise, Bruce learns another lesson of provision in this new story of Bruce the bear who is mother to four goslings. Upon returning from winter migration one spring, Bruce discovers that his home has been taken over by various animals and rodents. This makes Bruce very angry and he kicks everyone out. 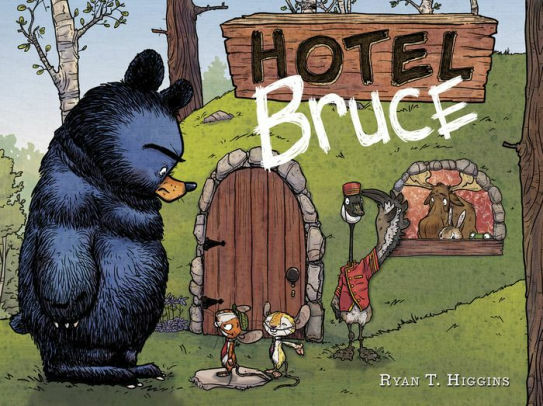 However, Bruce is ultimately reminded about provision and hospitality in this silly next story of a bear who begrudgingly becomes a caring parent to orphans and others in need. Comment: Paul’s message here is not an easy one to boil down without a biology lesson about decomposition and regrowth. While a story about the life cycle of a plant might be a good example to pair with this passage, the new pop-up book Jesus is Risen is an excellent example of perishable v. imperishable and new life after death. (The story of Christ’s resurrection may also help the teacher/pastor tackle the greater theological debate of bodily v spiritual resurrection in this scripture lesson.) “Just as we have borne the image of the person of dust, we will also bear the image of the person of heaven,” (v.49). Traini’s book looks beyond the death and resurrection stories into the stories of Christ’s return to his disciples following the resurrection to include the Ascension and Pentecost pericopes. With each page in the book, those who encounter Jesus are given something – a blessing, the Holy Spirit – to have and hold as a reminder of Christ’s presence (bearing the image) with and among them. 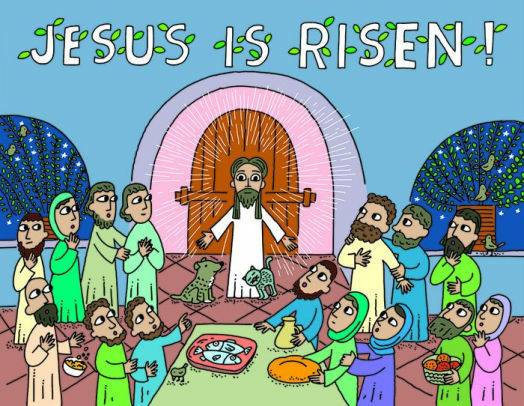 Children and families alike will love the pop-up illustrations of this book, which does a good job of closely linking Christ’s resurrection to post-resurrection narratives. We are happy to welcome back Rev. Katie Barrett Todd, director/pastor at Ukirk Greensboro, NC, as our Revised Common Lectionary Links writer for the next four weeks. Lectionary Links (RCL): February 24, 2019 by Storypath is licensed under a Creative Commons Attribution-NonCommercial 4.0 International License.